You may be surprised to know it is a non-protein amino acid commonly found in green and black tea called L-Theanine, and one of the reasons you love your tea! L-Theanine lifts your mood due to the improved GABA (gamma aminobutyric acid) levels in the brain, an inhibitory neurotransmitter which is vital for nervous system function. Regular supplementation with L-Theanine helps maintain GABA levels, and promotes a calm, relaxed mood. It crosses the blood-brain barrier and boosts serotonin and dopamine – the feel-good neurotransmitters. The L- Theanine available in my online store here is optimally absorbed and assimilated. The wonderful thing about L-Theanine is that it both calms and relaxes you while boosting concentration and alertness. If you are ADHD you might find this helpful as it is often used in this context, or if you are struggling to concentrate, are anxious or nervous before speaking publicly – this is very helpful. When you have a cup of tea, the L-Theanine works to promote relaxation while allowing the caffeine to produce what is known as “alert calmness”, and fully concentrate on your task at hand. Great for studying and exam nerves. I often recommend it for people who are stressed, or have slight increases in blood pressure due to stress. A study published in Pharmacology, Biochemistry, and Behavior found that graduate students who took L-Theanine experienced less anxiety (as measured by a questionnaire and by a salivary marker for stress) when they were assigned stressful work in a pharmacy, compared to a placebo. An Israeli Journal of Clinical Psychiatry noted that L-Theanine relieved anxiety symptoms and augmented antipsychotic treatment in patients with schizophrenia. Please ensure it is L-Theanine and not D-Theanine (which is the fake synthetic version which will do nothing for you and won’t provide neurochemical actions). An opened capsule under the tongue helps to prevent panic attacks. Sleep quality is also enhanced, and beats taking a drug to sleep any day. Not everyone has this effect, but some people sleep very soundly with L-Theanine. While L-Theanine’s effect on the brain relaxes, it does keep you focused while awake, but it’s also very effective against insomnia when needed. Falling asleep is one thing, staying asleep and getting quality sleep is quite another. While it may not cause you to sleep longer, the quality of sleep will be better, leaving you more refreshed. The feeling of being refreshed is one that L-Theanine offers after sleep. The dose: 1 vegetable capsule twice a day, between meals is all you need for that sense of calm without falling asleep. Of course if you don’t want to take it – try drinking black or green tea! 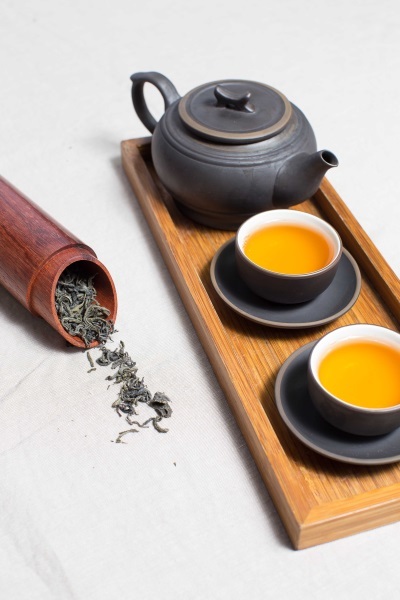 Tea – while also containing caffeine – doesn’t have that immediate “kick” effect to it, because the L-Theanine calms you taking off the jagged edge of coffee. Remember too that tea and coffee can be fat-burning – what a great reason to go and get a cuppa! The liver responds amazingly to L-Theanine. Japanese research shows L-Theanine to be a powerful antidote to the effects of alcohol, and if given just before or after they drink alcohol, significantly lowers blood levels of alcohol by modulating alcohol chemistry. In case you don’t know, alcohol is converted in the body to a toxic chemical known as acetaldehyde which is very similar to formaldehyde (used in embalming!) and much more toxic to the body than even the alcohol itself. What L-Theanine does then is to accelerate the breakdown of the acetaldehyde and block the very toxic compounds, and it does this suppressing them to normal levels for over 5 hours. Pretty amazing! With Christmas coming up and possible over-indulgence, L-Theanine might be good to have in your back pocket. The other benefit to the liver would be the ability of L-Theanine to reverse damage caused by alcohol, restoring the liver’s all-purpose antioxidant and powerful detoxifier known as glutathione, suppressed when drinking alcohol. L-Theanine helps to counteract the alcohol-induced loss of glutathione. Glutathione is very important in the fight against cancer. Depletion of glutathione in vital organs like the heart is a major cause of chemotherapy toxicity. Researchers also found that L-Theanine can counteract drug-induced losses of glutathione. Because L-Theanine together with other components in green tea, reduce triglyceride levels and fatty acid levels in the blood, food intake and body weight may decrease in those who take it. Whatever your reason for taking it, L-Theanine is a great little ‘something extra’ if you need it.